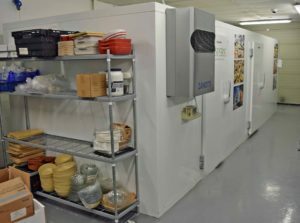 Here at Caterquip, we pride ourselves at our ability to turn our hand to all commercial catering equipment. 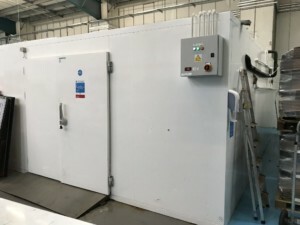 We take on bespoke projects from a small walk in fridge, to a dual fridge & freezer room, to a large warehouse style fridge or freezer. We build rooms using 80mm & 100mm insulated wall panels and roof & floor panels. 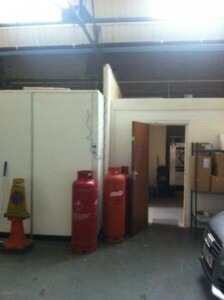 Rooms can be fitted with either a reconditioned or brand new plant. We can also supply & fit wall mount monoblock and external remote compressor systems. 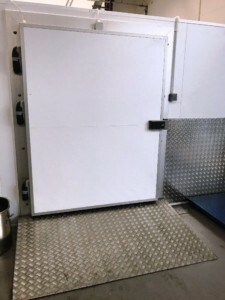 Rooms start unclean but all panels will be deep cleaned, corners and joints will be sealed with fridge silicone and the floor will be clad with heavy duty checker plate panels. Once built and tested in our workshop, we shall dismantle and ship to the client site for final installation and commissioning. Call us for more information. 01733 286 000 Option Sales. 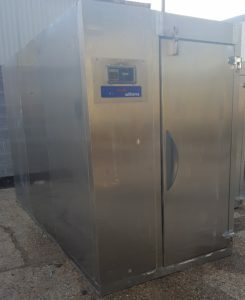 Refrigeration unit included. Well specified, excellent performance and this cold room can be used outside if sheltered from rain. 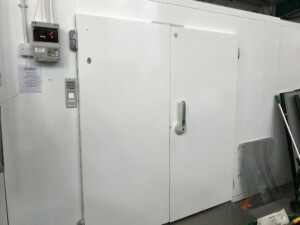 Top surface is 1.0mm special anti sliding stainless steels, lower surface is galvanized sheet panels which 42 density polyurethane are injected. 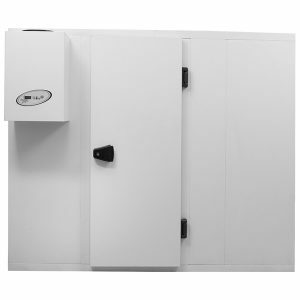 Racking & Installation can be quoted for accordingly.